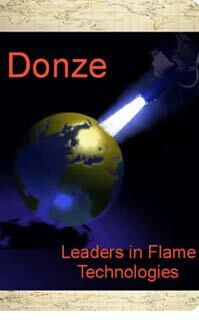 Donze is a manufacturer of cutting torches, systems, and supplies and is Europe’s leading suppliers of flame solutions for over 30 years. Recognized as an innovative technical leader in the steel industry, Donze deploys its proprietary cutting solutions in advanced steel slab cutting and conditioning solutions, servicing some of the largest steel mills in the world. The company is a world leader in steel cutting systems and automated, burrless steel cutting solutions that both cuts and slits slabs. Based in Fresse Sur Moselle, France, EURL Donze is dedicated to providing the highest quality products while continuing to leverage its technical leadership for the benefit of customers.